What do you think of the new blogger header image?! 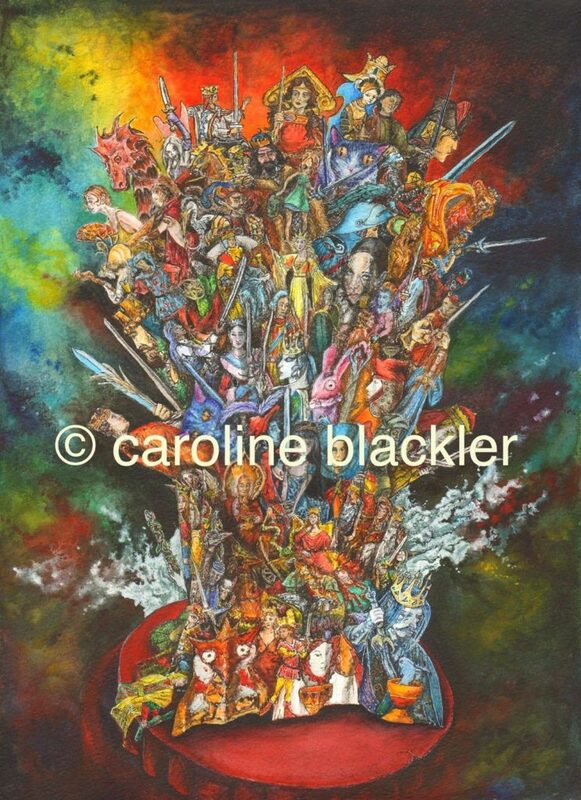 I am rather partial to the artwork of Caroline Blackler and I asked her to create an image for Tarot Thrones and what she came up with completely blew me away. The blog’s full Sunday title is: This Game of Thrones, but I mostly refer to it as Tarot Thrones. Clever Caroline used the full title of the blog to recreate the Iron Throne from THE Game of Thrones …. but it is built entirely of court card images! Honestly, it is STUPENDOUS! And it perfectly captures the whole blog ethos for me. It’s going to be used on EVERYTHING Tarot Thrones! Take a good look at the various court card images that Caroline has used – which ones do you recognise?! I’m still pootering about with the backgrounds and fonts and what not, but I couldn’t wait a moment longer to share the main image with you! So there you have it – Caroline Blackler is available for commissions and I hope that you can tell by the smile on my face as I type, that I am more than delighted with the end result! No blushes needed – it's FAB!!! Keep painting! Unbelievable, well done Caroline and congratulations, Alison! She has bags of talent! It is absolutely gorgeous Alison!